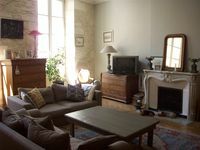 Properties in Avignon Central Station average 4.7 out of 5 stars. Property 64: The Atelier d'artiste. 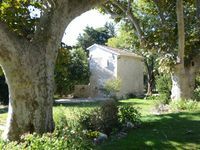 Gîte in Provence with heated pool, between St Remy de Provence and Avignon. Property 69: Gîte in Provence with heated pool, between St Remy de Provence and Avignon. Property 91: 3 rooms air conditioning shaded garden close to the center of Avignon 4 pers. T2-52m2. Intramural. In the historic center. Completely renovated in 2017. Property 95: T2-52m2. Intramural. In the historic center. Completely renovated in 2017. Beautiful apartment in the heart of the Papal city. Property 100: Beautiful apartment in the heart of the Papal city. We love our stay at Dominique's Apartment. It was perfect for a family (in our case a couple and mother in law), for an extended stay. With all of the modern conveniences of a home, we were able to shop at Les Halles and stock up for the week's pantry needs. The shower was strong and hot, with a separate toilet room, major plus. Dominique was very accommodating and personable. We would definitely stay here again. It was safe and very close to shops, tourist attractions and restaurants. Advice for US citizens-the streets of Avignon are difficult to navigate in a car. We struggled getting to and from the apartment, as the city is more conducive to walking. Parking is off premise, in the parking structure, over Les Halles market. It was incredible to stay in a charming, country house with easy access to Avignon and Ch&acirc;teauneuf-du- Pape. Our hosts were very gracious. They went out of their way to help us. The view of the sunrise across the fields and the ability to enjoy wine and cheese in the garden added to the experience. Highly recommended this experience.